No plain surface remains undecorated for long with this large Pine coloured VersaCraft (previously known as Fabrico) Ink pad. 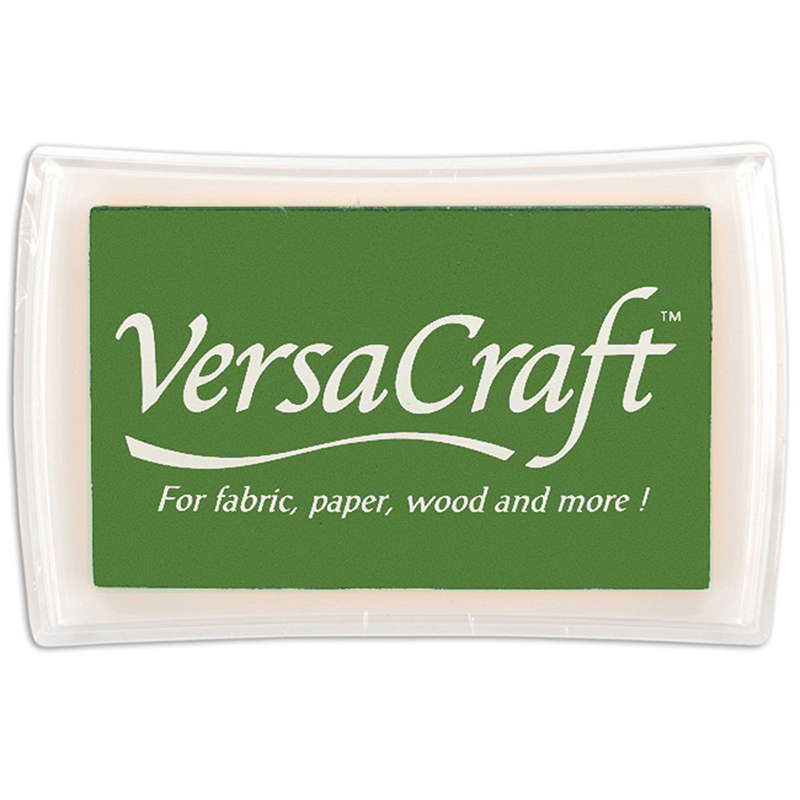 Use VersaCraft on a variety of surfaces such as fabric, paper, wood, leather, unglazed ceramic, paper mache and shrink plastic. When stamping on fabric, heat setting is required and fabric should be pre-washed to remove sizing. VersaCraft is also great for archival scrapbooking projects due to its opacity and permanence. The large raised pad is sized 7.7 x 4.7cm.